Indonesian president Joko Widodo said the military was being called in to the region to help search-and-rescue teams get to victims and find bodies. Indonesian Vice President Jusuf Kalla said that the final number of the dead could be in thousands. 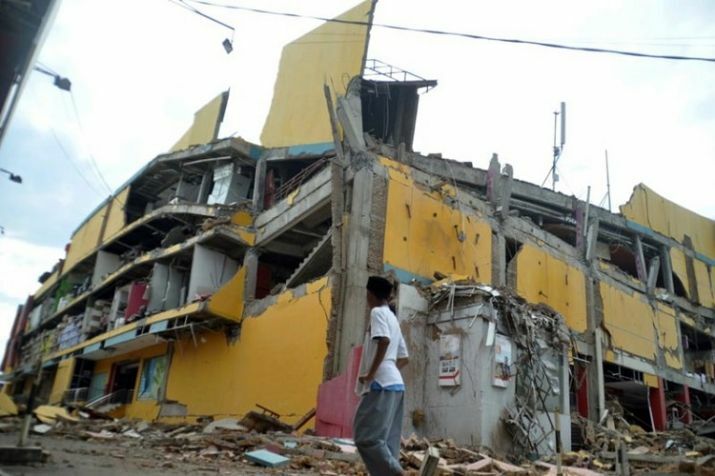 Palu: The death toll from the powerful earthquake and tsunami that rattled the Indonesian island of Sulawesi has jumped to 832, confirmed the state media on Sunday. 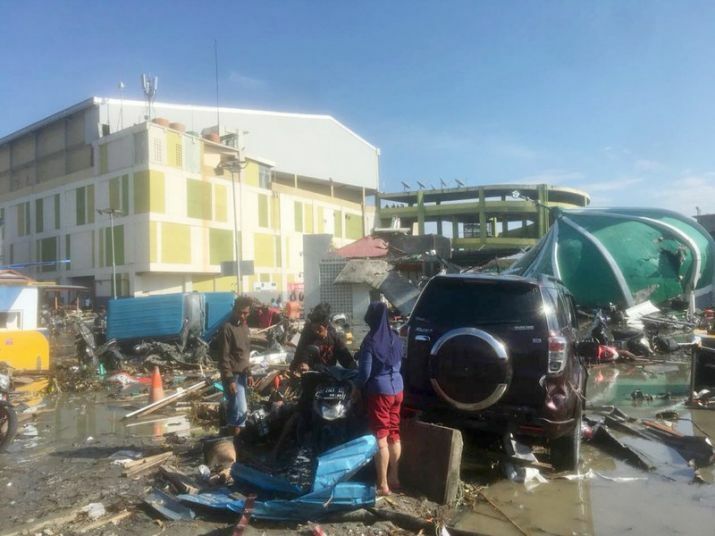 Sutopo Purwo Nugroho, the spokesman of the national disaster mitigation agency, told a news conference Sunday that 821 of those killed were in the hard-hit city of Palu. He said another 11 people were killed in the town of Donggala. He says access to Donggala, as well as the towns of Sigi and Boutong, is still limited and there are no comprehensive reports from those areas. Meanwhile, Indonesian Vice President Jusuf Kalla said that the final number of the dead could be in thousands. At least 540 people had been badly injured, an agency spokesman said, as hospitals struggled to cope with the influx of casualties. The nearby cities of Donggala and Mamuju were also ravaged, but little information was available due to damaged roads and disrupted telecommunications. 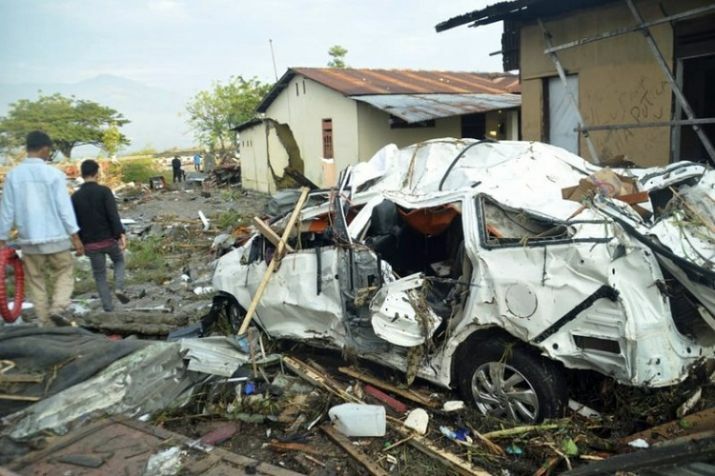 Some government planes carrying relief supplies managed to land at the main airport in Palu, although officials said it would likely remain closed to commercial flights for days. There were concerns over the whereabouts of hundreds of people preparing for a beach festival that had been due to start Friday, the disaster agency said. 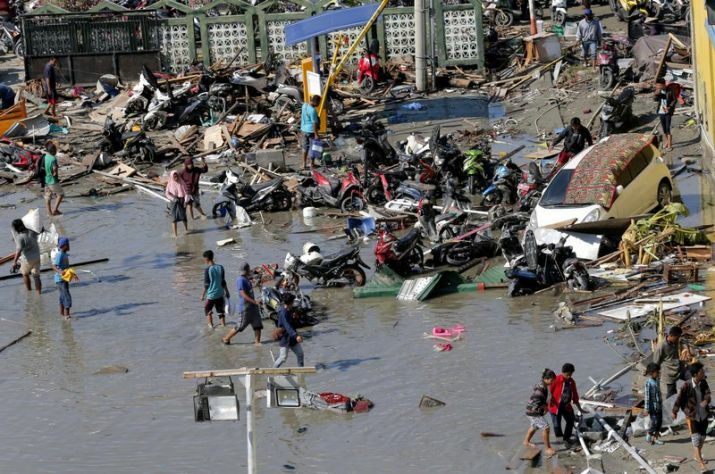 In Palu - home to 350,000 people - partially covered bodies lay near the shore after waves hit the coast on Friday. 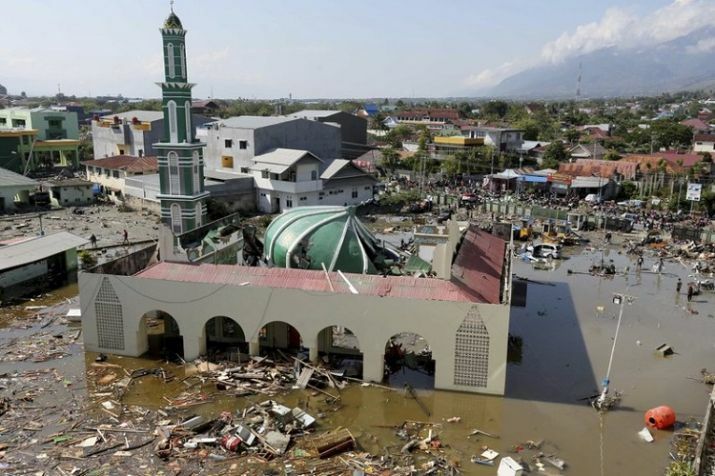 Dramatic video footage captured from the top floor of a parking ramp in Palu, nearly 80 kilometres from the quake's epicentre, showed waves bring down several buildings and inundate a large mosque. About 17,000 people had been evacuated, the disaster agency said. It’s the latest natural disaster to hit Indonesia, which is frequently struck by earthquakes, volcanic eruptions and tsunamis because of its location on the “Ring of Fire,” an arc of volcanoes and fault lines in the Pacific Basin. In December 2004, a massive magnitude 9.1 earthquake off Sumatra island in western Indonesia triggered a tsunami that killed 230,000 people in a dozen countries. Last month, a powerful quake on the island of Lombok killed 505 people. Meanwhile, Prime Minister Narendra Modi Sunday condoled the loss of lives in tsunami which hit parts of Indonesia, saying India stands with its maritime neighbour in this difficult hour. "Deeply saddened by the loss of lives and devastation due to tsunami and earthquake in Central Sulawesi in Indonesia. I offer deepest condolences. India stands with its maritime neighbour in this difficult hour," the Prime Minister's Office said on Twitter quoting PM Modi. 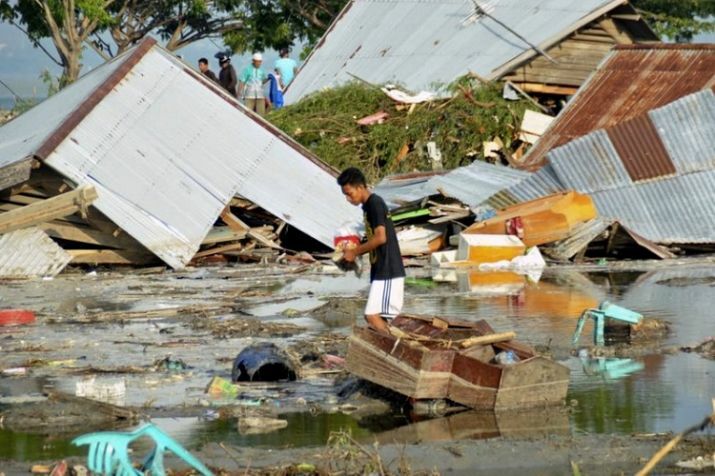 Meanwhile, hundreds of desperate people in the tsunami-struck Indonesian city of Palu looted supermarkets and petrol stations Sunday, as an initial trickle of aid into the devastated area failed to relieve an acute shortage of water, food and fuel. Some aid has started to trickle in to Sulawesi, located in the centre of Indonesia's vast, 17,000-island archipelago.